A few weeks ago, Saucony sent me a pair of Virratas from their Natural line of running shoes. I posted my initial review and fell in love with them. Since then, I have put about 80 miles on them so I wanted to give a follow up review after some mileage. 1. They still feel as comfortable as the first mile. 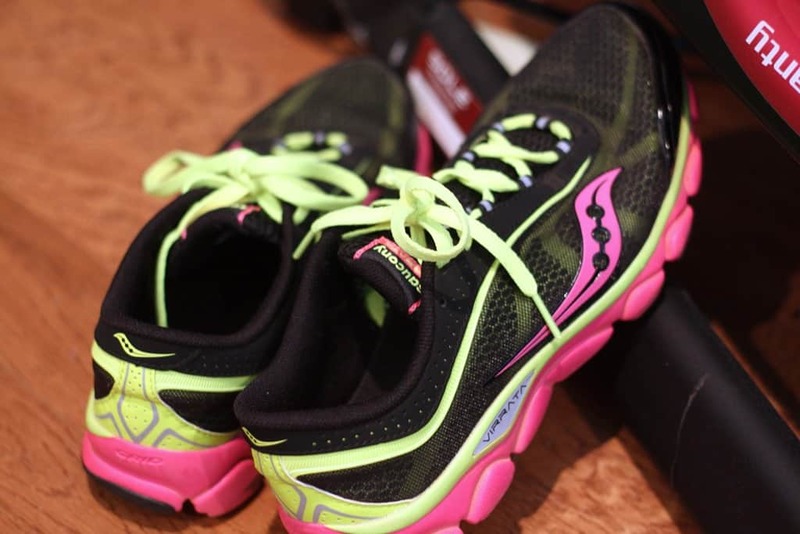 I have used these on the treadmill and road and the cushioning under the midfoot is still as supportive as the first few miles. 2. No nagging hot spots or blisters. They do not rub in the usual spots like Achilles, toes, or heels. The height of the back of the heel sits just right without friction. Some of these issues do not show up until more miles are added. 3. No tearing or wearing down yet. I would hope that after just 80 miles, they would still be durable and no defects and Saucony has proven to make a quality shoe. 4. Perfect heel and toe box width. I didn’t realize how wide the heel was in all my former shoes. I usually worried more about the toe box because I have crazy long toes and they need room. But these virratas have a heel that fits MY heel like a glove without pinching. And after the miles, they have not stretched out. They just feel so good on my feet. How am I using these? Shorter runs. 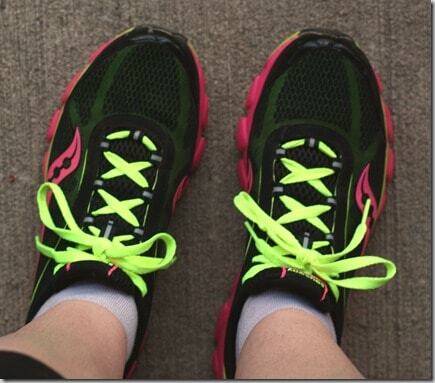 I am still transitioning to a zero drop shoe and I’m following my own advice. I have found that I need more support for runs longer than about 6-7 miles. My calves start fatiguing fast after that. It’s a good thing Saucony has the Kinvarra and the Fastwitch. I have a pair of each on the way! I’ll rotate these around and use the Virratas for shorter distance and speedwork. Running only. I’ve read some people who have had success using these for CrossFit. I probably will not use these for lifting. While it does have a zero drop, meaning my heel and forefoot are parallel to the floor, they are resting on 18mm of cushy foam. I like my feet flat on the ground with very little between my foot and the floor. I am afraid the cushioning might encourage rolling forward or shifting that might strain my knees under a heavy loaded bar. These are running shoes and I’m using them for running! 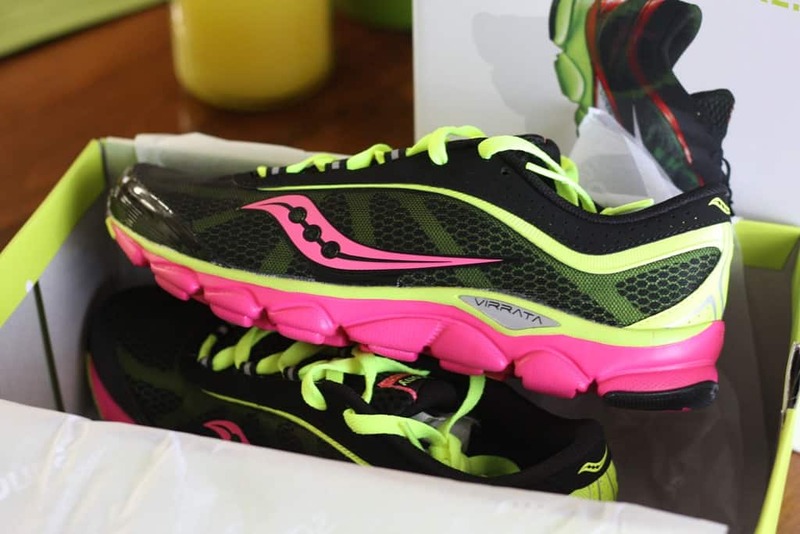 The shoes were provided by FitFluentiall LLC for purpose of review. All opinions are my own. I am all about my super cushioned big huge shoes, but seems loads of people love these.